A couple of months we shared you Honda's strategy for Indian market (read more here), which included Diesel engine introduction, sub-4 meter sedan launch and Jazz based SUV to be launched. With the first two almost accomplished now, the Japanese car maker confirms the launch of Jazz based compact SUV in India by 2014. We all know that Honda Cars India stopped the production of Jazz hatchback in India a couple of months ago, and the primary reason for that was to accommodate more space for upcoming Honda Amaze and to increase production capacity. 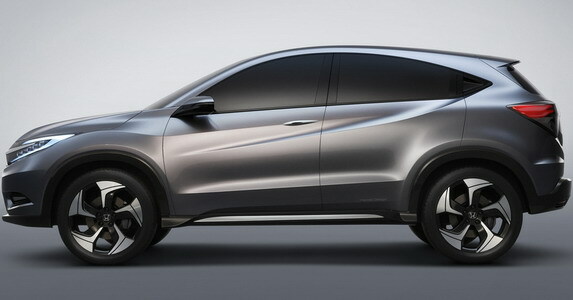 It was already revealed that Honda will introduce the next gen Jazz by 2014, but it was little known that Jazz based Compact SUV will also hit the market next year. Expect the Jazz based SUV to be launched in 2014 and compete with many more coming that time - S101 from Mahindra SsangYong, EcoSport from Ford, XA-Alpha from Maruti Suzuki, Duster based SUV from Nissan.